While I enjoyed all the X-Men movies, I do like First Class the best. 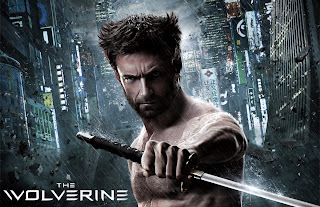 Wolverine returns in his own flick, which in it's trailers, looks much better than his last solo outing. And this brand new trailer is our first look at a new villain. I have yet to see Iron Man 3, but Star Trek Into Darkness was great! So far, the summer is shaping up nicely. I am REALLY looking forward to Pacific Rim, which I found out today, has already had it's sequel "green-lighted" and the film doesn't open until July!